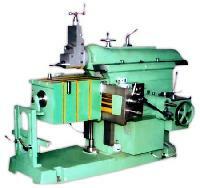 We are renowned as one of the preeminent Heavy Duty Shaping Machine Exporters from India. The unmatched quality and unsurpassable performance has attracted various national as well as international clients to place bulk orders for the All Gear Shaping Machine. The use of optimum quality materials in the manufacturing of the High Speed All Gear Shaping Machine ensures high durability, tensile strength and resistivity to adverse conditions. Additionally, customers are eased with the availability of the All Gear Shaping Machine loaded with advanced features ensuring fast & effective application. 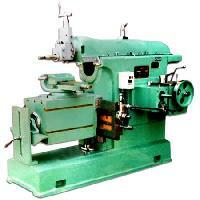 We are renowned as one of the preeminent Heavy Duty Shaping Machine Exporters from India. The unmatched quality and unsurpassable performance has attracted various national as well as international clients to place bulk orders for the Geared Shaping Machine. The use of optimum quality materials in the manufacturing of the High Speed Gear Shaping Machine ensures high durability, tensile strength and resistivity to adverse conditions. Additionally, customers are eased with the availability of the Geared Shaping Machines loaded with advanced features ensuring fast & effective application.